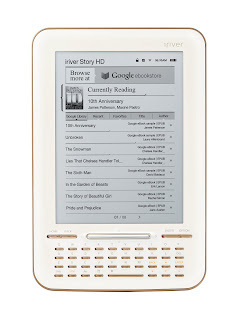 Lately I’ve noticed another trend regarding ebook users and a point of confusion for them. This is a very simple concept but the confusion around it seems to affect both novice and veteran ebook/computer users. The person does a great job of following instructions for downloading the ebook file, and they even follow the recommended procedure for authorizing their software. They download the ebook file to their computer and all is well. At this point, the next step is to transfer the file to their device. Whether it’s an e-reader, Palm, Windows Mobile, or something else, it’s the same concept: if you’ve downloaded a file to your computer, and you want to also have that file on your device, the file has to be transferred from your computer to your device. And something goes wrong here. Perhaps the user has a brain freeze, or perhaps they actually don’t understand, but they look at their device and they don’t see the ebook on it, and they can’t comprehend why it isn’t there. It might be some kind of mixed-up confusion stemming from the fact that sometimes you can download a file directly to a device. For examples, when you buy an app on your phone, or if you have a Kindle and you buy an ebook from within the Kindle itself. But that’s not what’s going on in this situation. The user has downloaded a file to their computer, and they know that they’ve done that. They see it on their computer. Then they look at their e-reader, and they don’t see it there, and they don’t understand why. The method by which you transfer the ebook to your device will vary a bit with each type of device, but in general, you can probably load the ebook onto it just like you would any other file. If you’ve got a Palm or Windows Mobile you just use the Sync software that it came with. If you’ve got an e-reader you can plug it into your computer via USB and transfer the file over the same way you would with an external drive. If your ebook has DRM you might have to use Adobe Digital Editions or some other software, depending on the format of the ebook. That’s enough for a whole different post, and I’ve explained the use of Adobe Digital Editions before. So here’s a small summary: When you download a file to your computer, it is only saved to your computer’s hard drive. If you’d like to use that file on another device, go ahead and copy it over to that device. This study and report by Pew Internet says that e-reader ownership has doubled within the last six months, bringing ownership of e-readers up to 12% of all adults in the US. My local news actually reported this last week. I don’t know if they got their data from this study or elsewhere, but they also said that ownership of e-reading devices was up to 12% of those surveyed. What I found especially interesting about that news report was that nobody seemed really shocked by it. For a long time, the idea of reading ebooks was scoffed at, and every time I told anybody what I did for work they would respond with something like, “Oh, hmm. I like to read on paper.” Of course, the person had never actually used an ebook or e-reader, so this is like a little kid saying they don’t like kiwi before they’ve even tried it. Nowadays I still get the same response from some people, but in general ebooks have become mainstream enough that they aren’t being treated with as much prejudice. This Pew article has some other interesting numbers in their demographics study. E-reader ownership is fairly evenly distributed between age brackets, evenly split between male and female, but the higher you go in income or level of school completed, the more e-readers you get. That’s not surprising since this kind of thing falls under the category of disposable income, but I do find it interesting that people of all ages own e-readers. They also have information on the amount of people who own e-readers as well as tablets, generally indicating that e-readers are more widely owned than tablets at this point. That is to be expected since tablets are a bit newer and more expensive. I attribute this growth to the excellent marketing that Amazon does of its Kindle, as well as the popularity of the Nook and Kobo e-readers. Even though I don’t agree with the restrictive nature of the Kindle, Amazon made e-readers a household object, and the rest of the market has grown because of that.